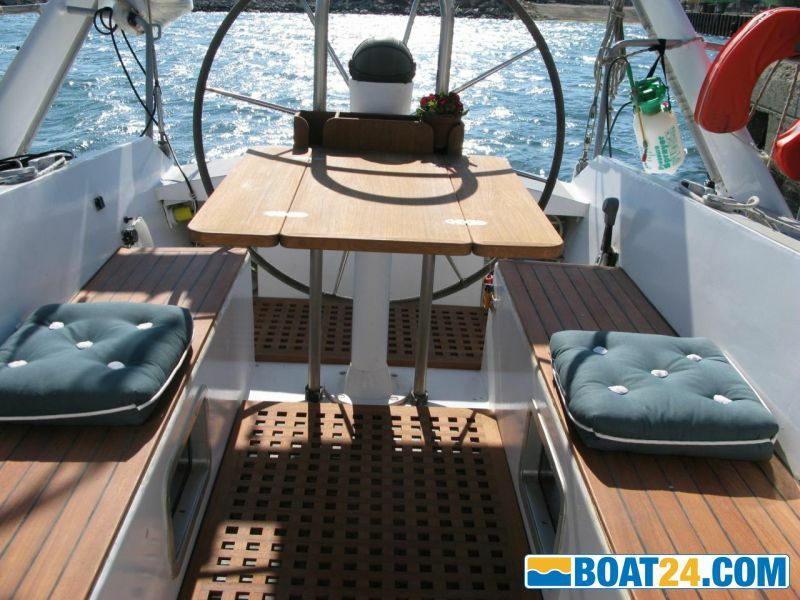 This elegant and powerful aluminum weighted dinghy, suitable for the big trip, is fully equipped and ready to go for your dream cruises. 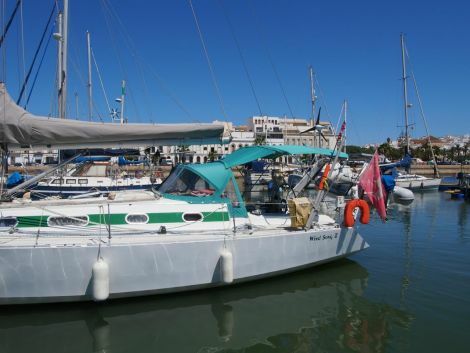 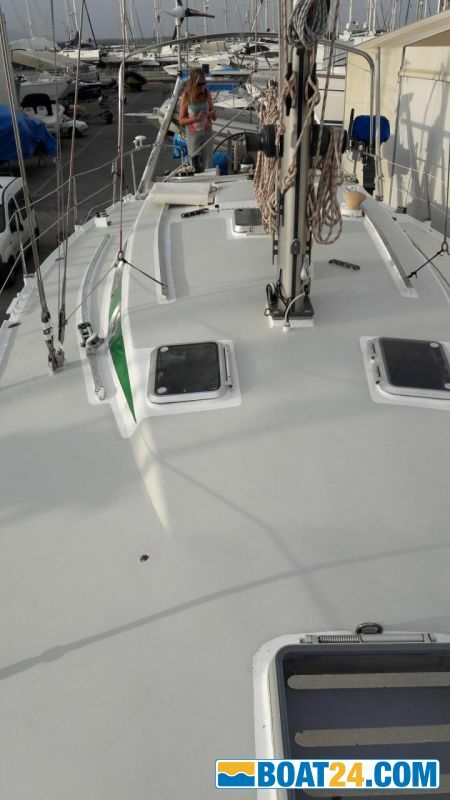 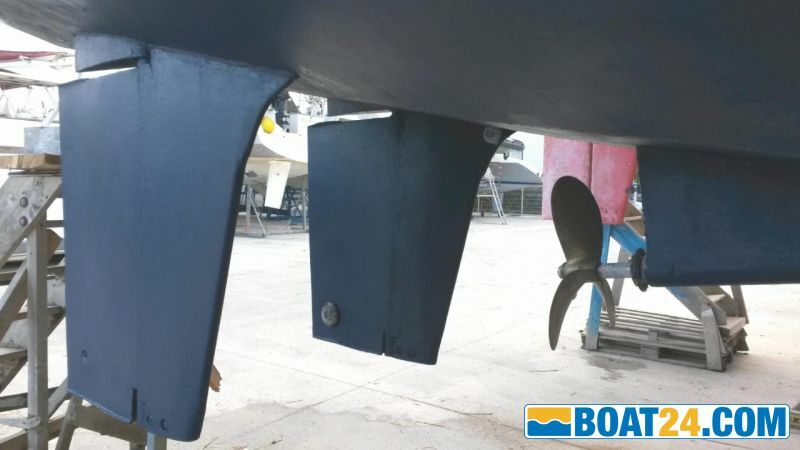 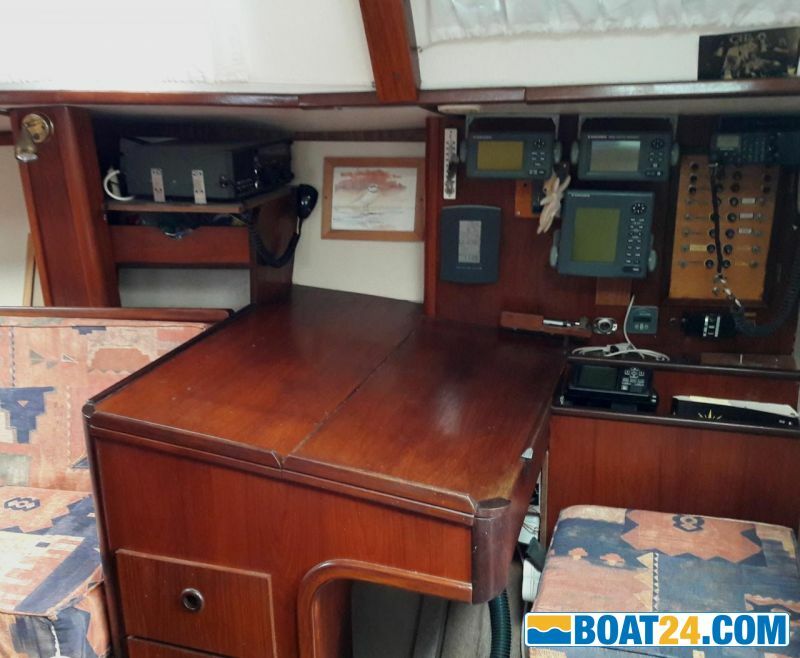 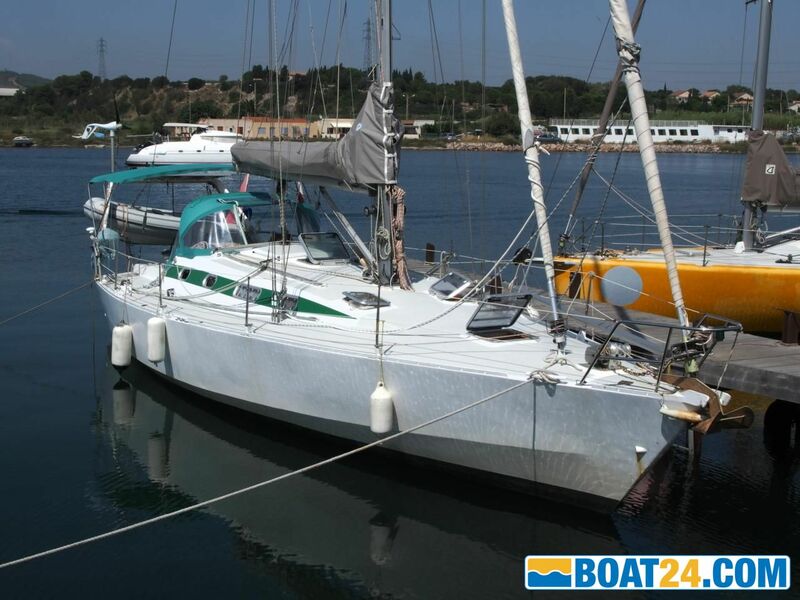 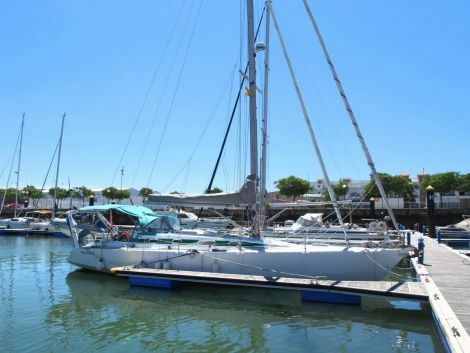 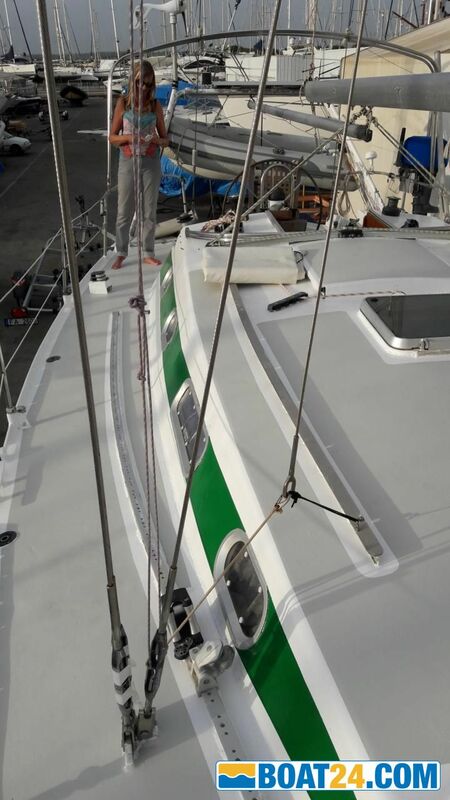 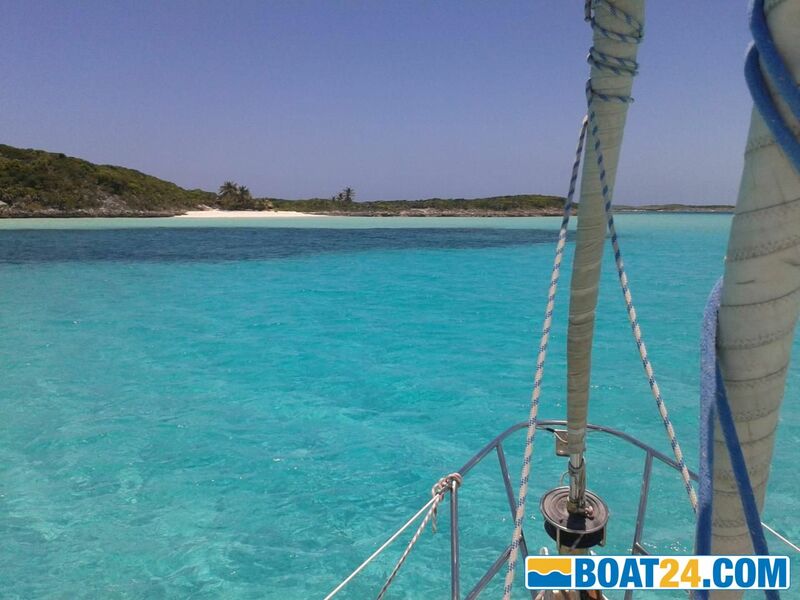 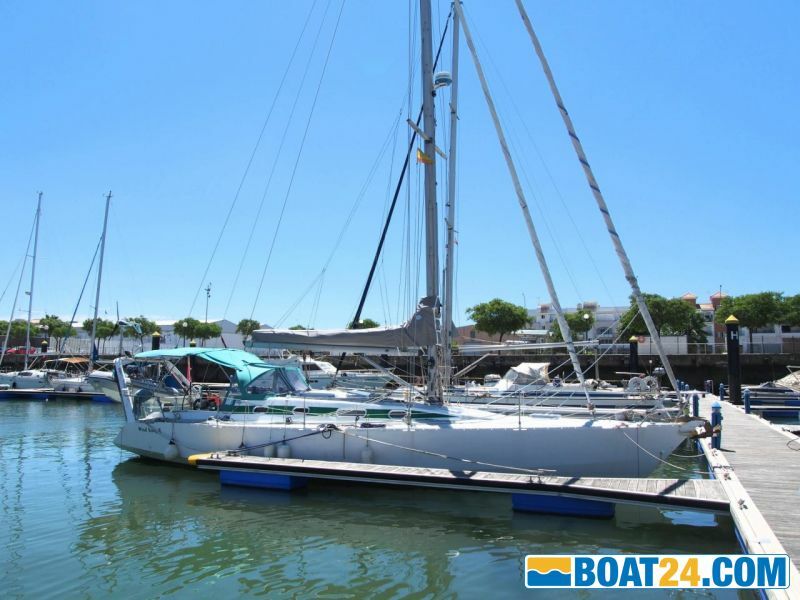 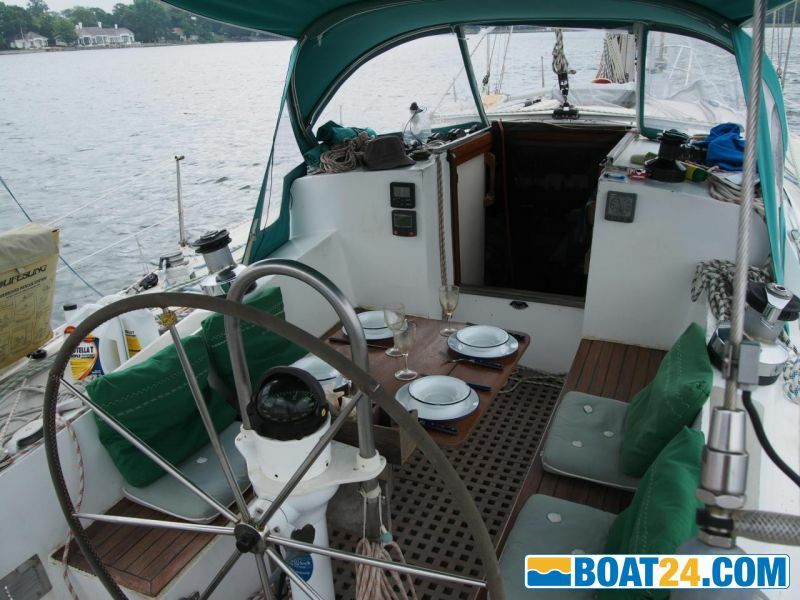 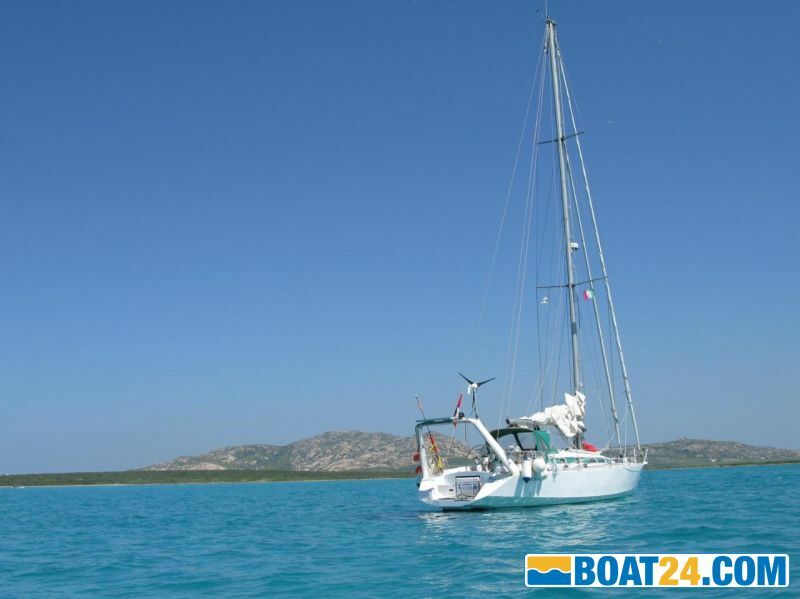 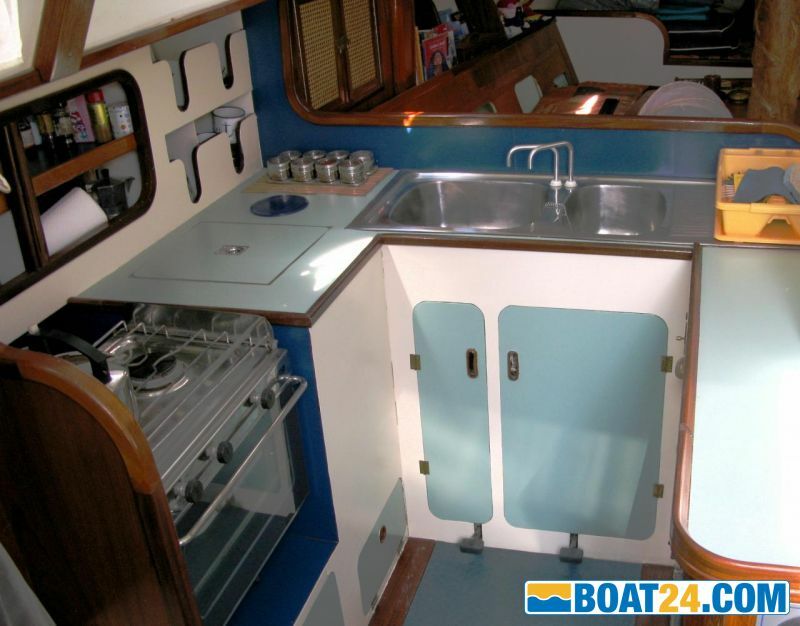 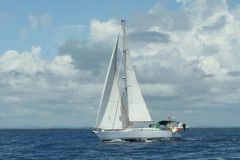 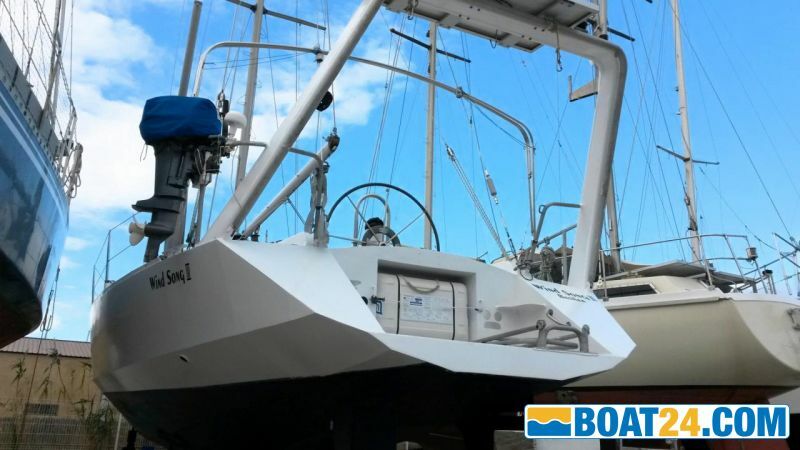 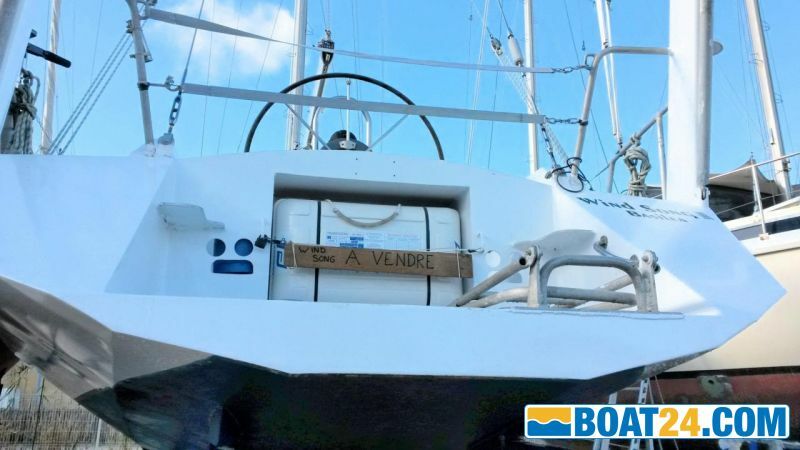 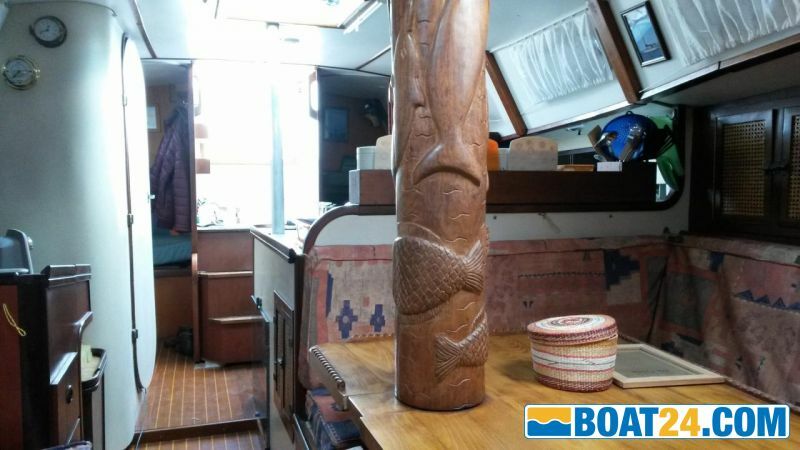 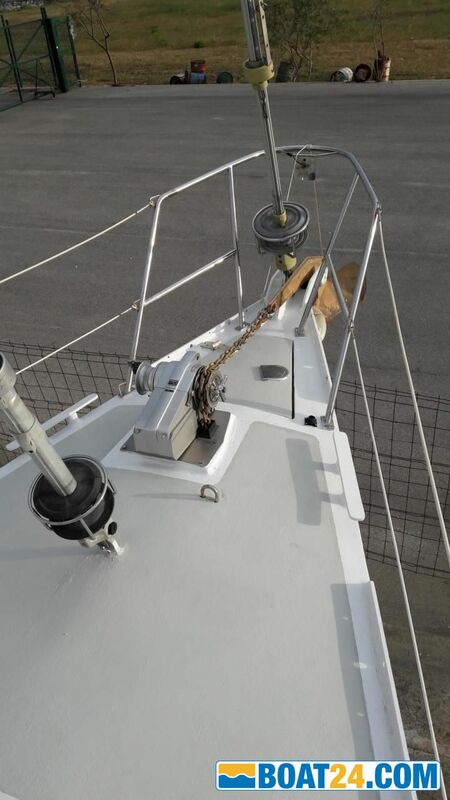 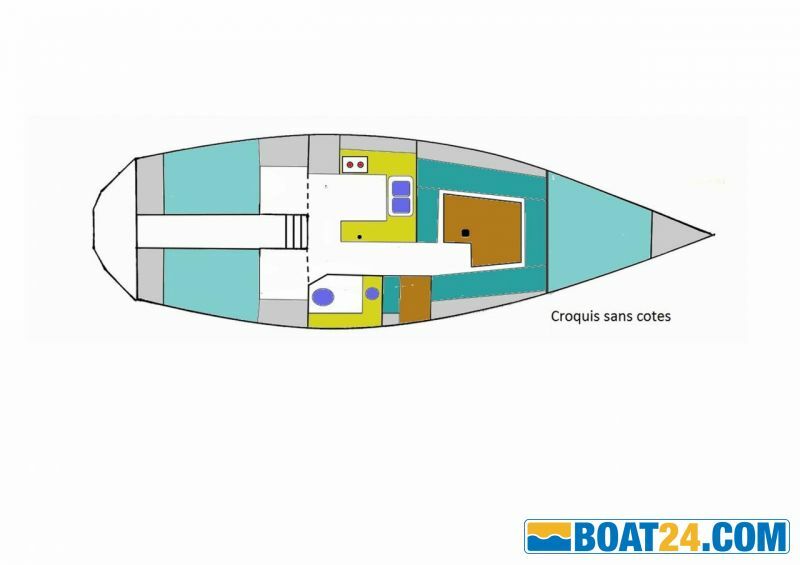 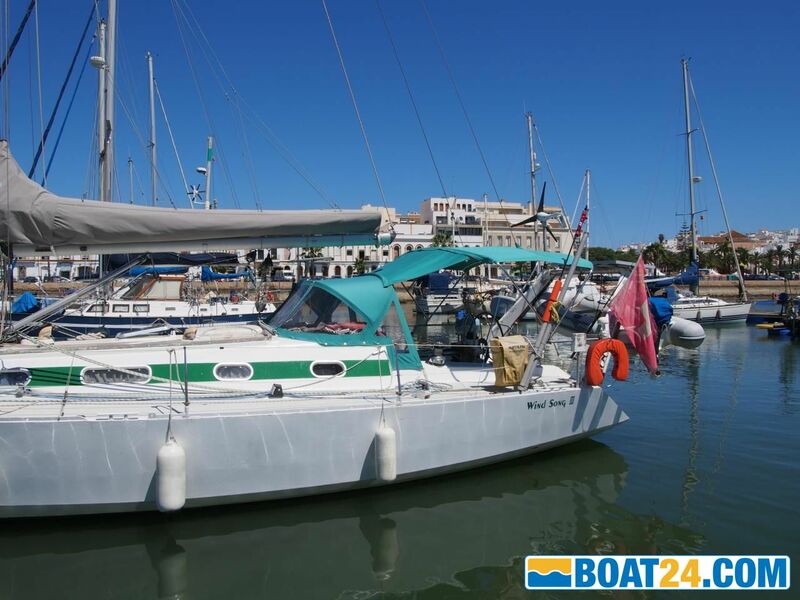 Very marine and comfortable both at sea and at anchor, it has a large well secured U-shaped kitchen, a large square, many opening hoods ensuring optimal ventilation. 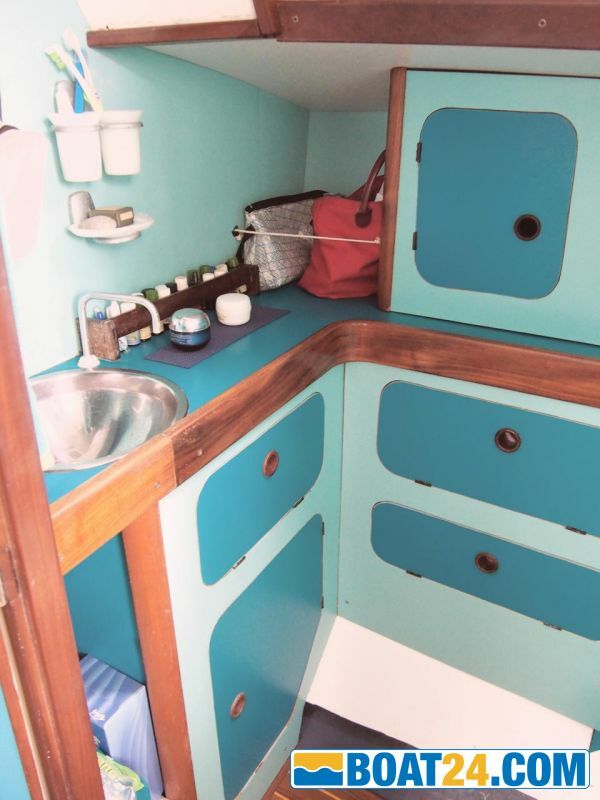 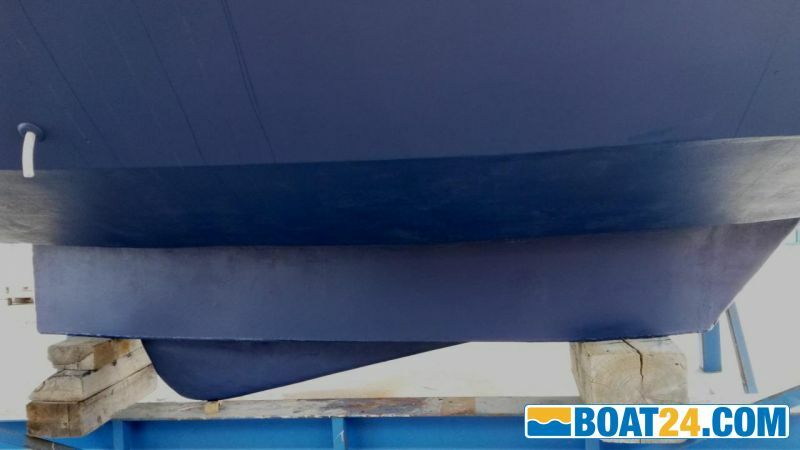 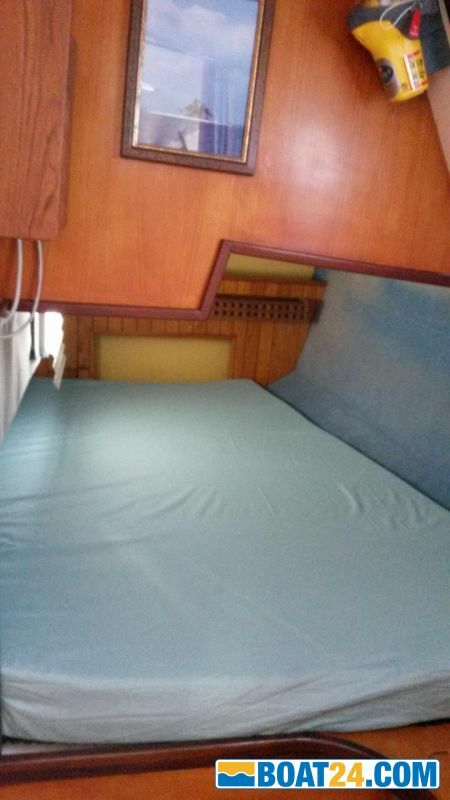 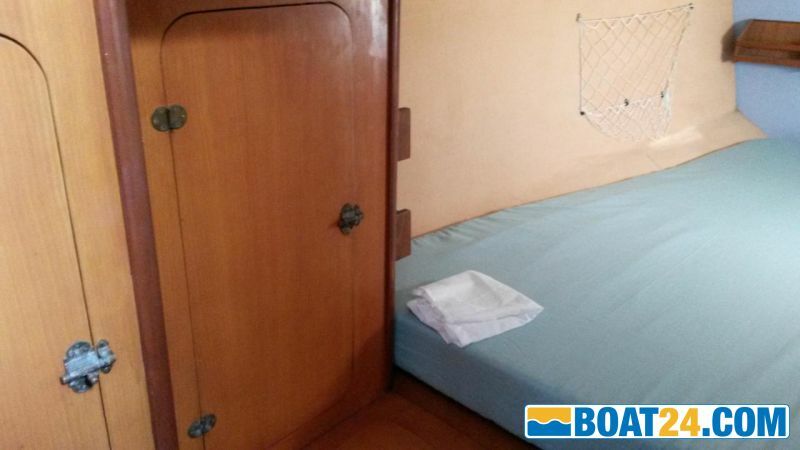 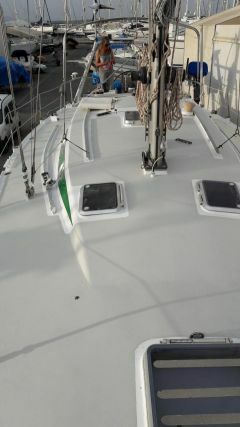 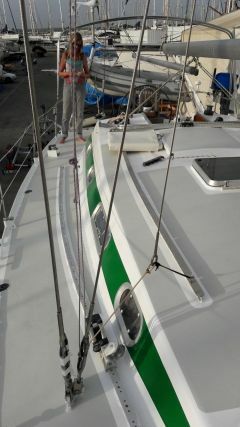 The three double berths are large in size for your comfort. 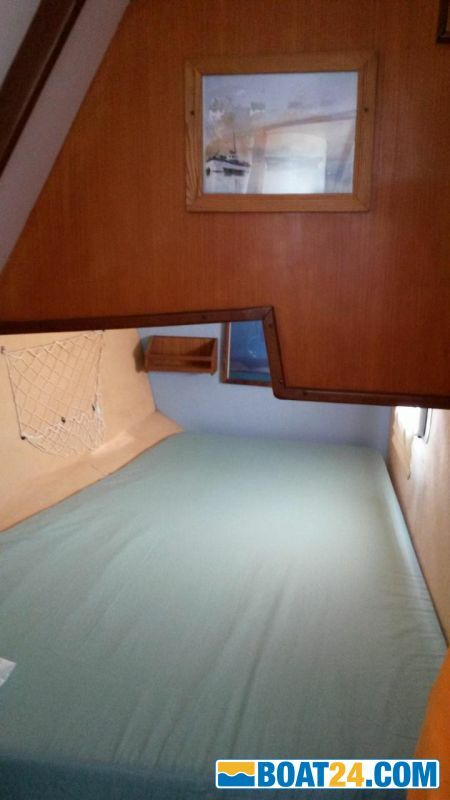 The access to the sea is made very easy thanks to the big skirt. 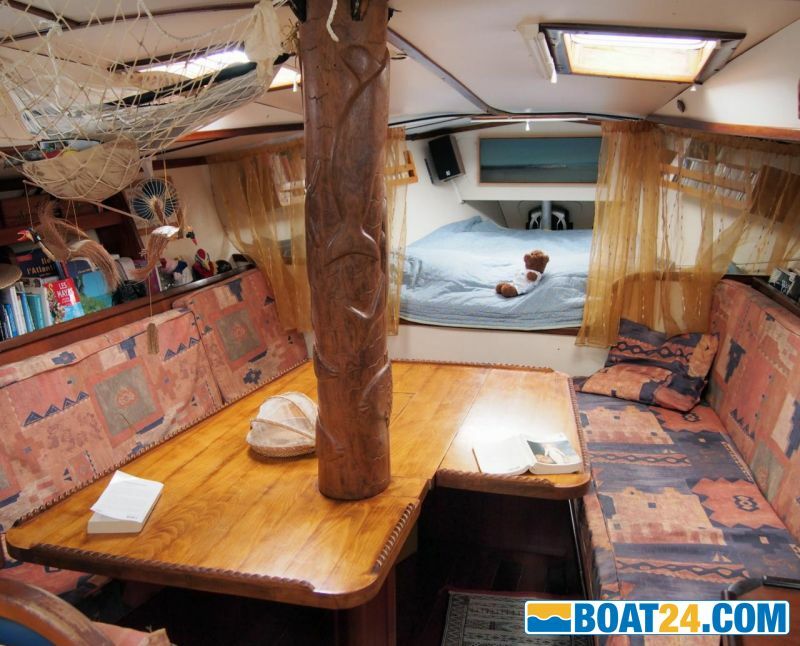 In immaculate condition, all the paintings, hull and deck, are very recent. 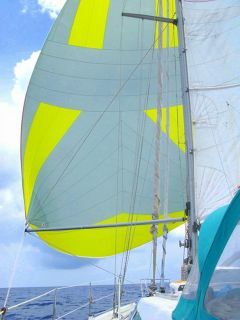 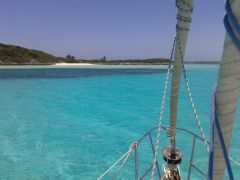 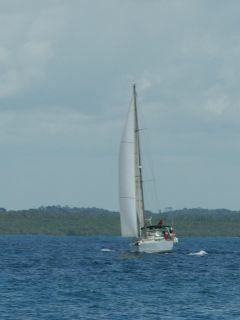 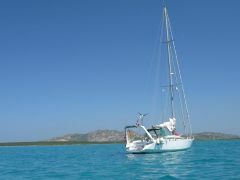 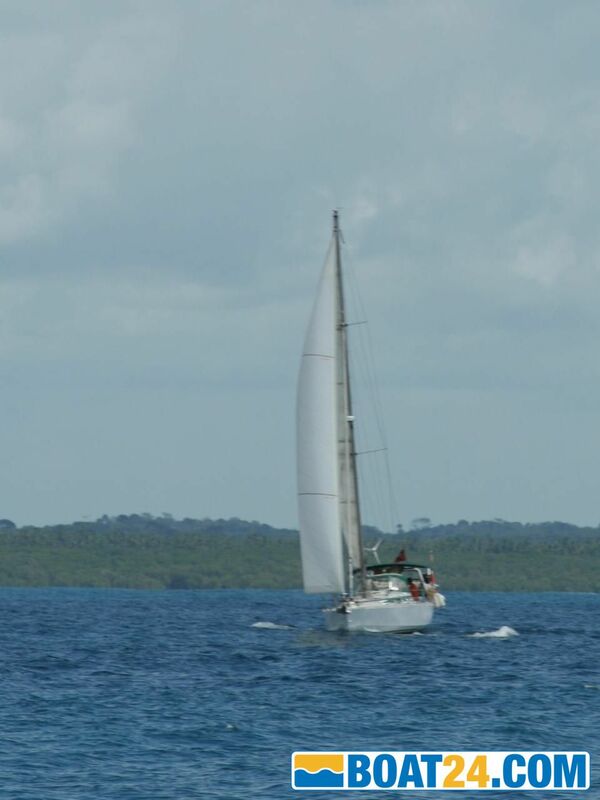 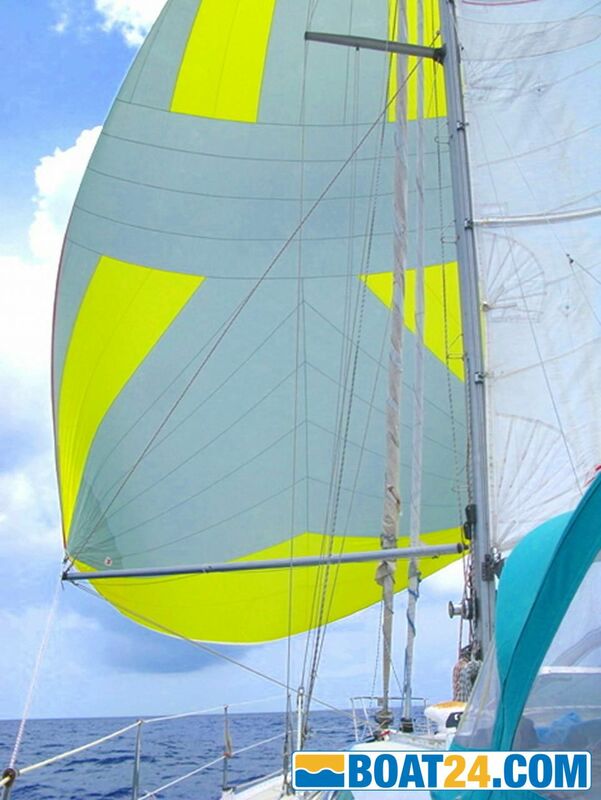 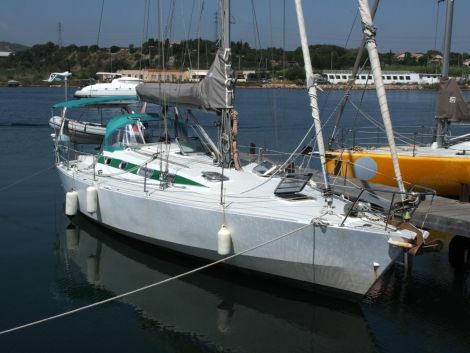 After having lived several happy years on board, we sell it with regret for family reasons. 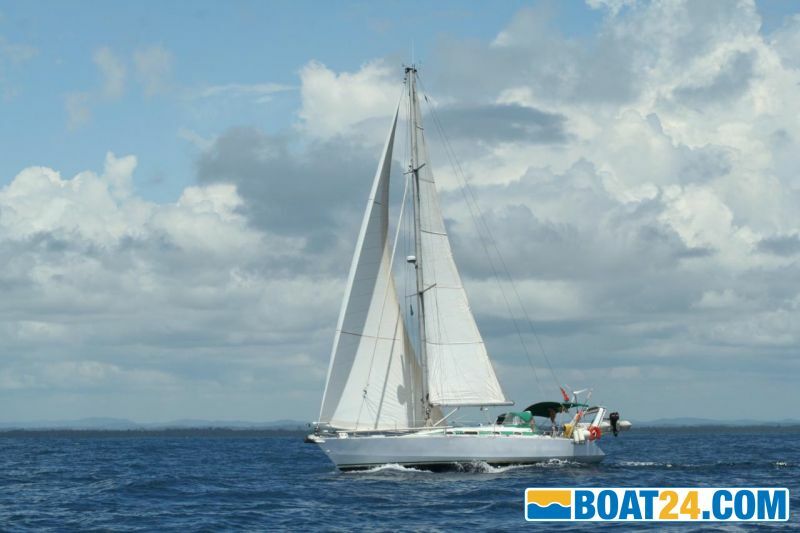 A detailed inventory is naturally available to interested persons.